Born in Girona in 1952. Mariàngela Vilallonga holds an undergraduate degree and a PhD in Classical Philology, both from the Autonomous University of Barcelona. She was awarded a special doctoral award for her PhD thesis. She is a professor of Latin Philology at the University of Girona, has been the director of the Maria Àngels Anglada–Carles Fages de Climent Chair in Literary Heritage since it was created in 2004, and is vice-chair of the Institute for Catalan Studies, of which she has been a full member since 2005. Her two main lines of research are Latin literature of the Renaissance period and the relationship between literature and landscape. She has supervised doctoral theses and research projects in both of these areas and continues to do so. She is the author of a number of books, including: Jeroni Pau: Obres (1986), Dos opuscles de Pere Miquel Carbonell (1988), La literatura llatina a Catalunya al segle XV (1993), Llatí II: Llengua i cultura llatines en el món medieval i modern (1998), Johannes Burckard, Dietari secret (2003), Recrear Rodoreda Romanyà (2008), El cardenal Margarit i l’Europa quatrecentista (2009), Aurora Bertrana a Ginebra (2017) and La construcció literària del territori: Costa Brava i Empordà (2018). She oversaw the publication and preliminary research for Aula Magna: Antologia de textos i estudis literaris by Dolors Condom (2010) and Terra de gestes i de beutat: Girona by Xavier Monsalvatje and Joaquim Pla (2016). She also translated Poemes francesos by Rainer Maria Rilke (2011). In Els arbres (1986), she turned her attention to literature and landscape. Her interest in this area culminated in the publication of Atles literari de les terres de Girona (2003), which she co-directed with Narcís-Jordi Aragó. She was responsible for creating the Studia humanitatis web portals atlesliterari.cat and patrimoniliterari.cat. Mariàngela Vilallonga has been principal investigator on funded RDI projects involving the participation of European and North American researchers. She is a member of “Catalan Language and Literature: History and Identity”, an AGAUR consolidated research group within the Institute of Catalan Language and Culture. She has organised some hundred courses, conferences, seminars, forums, exhibitions and international conference series in Catalonia and Italy, and serves on the scientific committees of various international institutions and publications. Within the framework of the Catalan University Quality Assurance Agency (AQU Catalunya) and various state-level assessment agencies, she has been a member of committees responsible for assessing academic programmes, degrees, projects and researchers. She has been a member of the Governing Board and Advisory Board of the Institute of Catalan Letters since 2015. She is a patron of various cultural foundations and a jury member for a number of literary prizes. She has served as a member of the School Council of Catalonia (2011–15) and the Social Council for Culture (2014–15), chair of the Advisory Council of the CRUSCAT Network (2010–15), a member of the Commemorations Committee of the Government of Catalonia (2011–13), a member of the Arts and Culture Council of the Girona City Council (2008–11), coordinator of the Fulls section of Revista de Girona, and a member of the same magazine’s editorial board (1985–2008). In 2009, she won the Gianfranco Merli National Prize for the Environment. 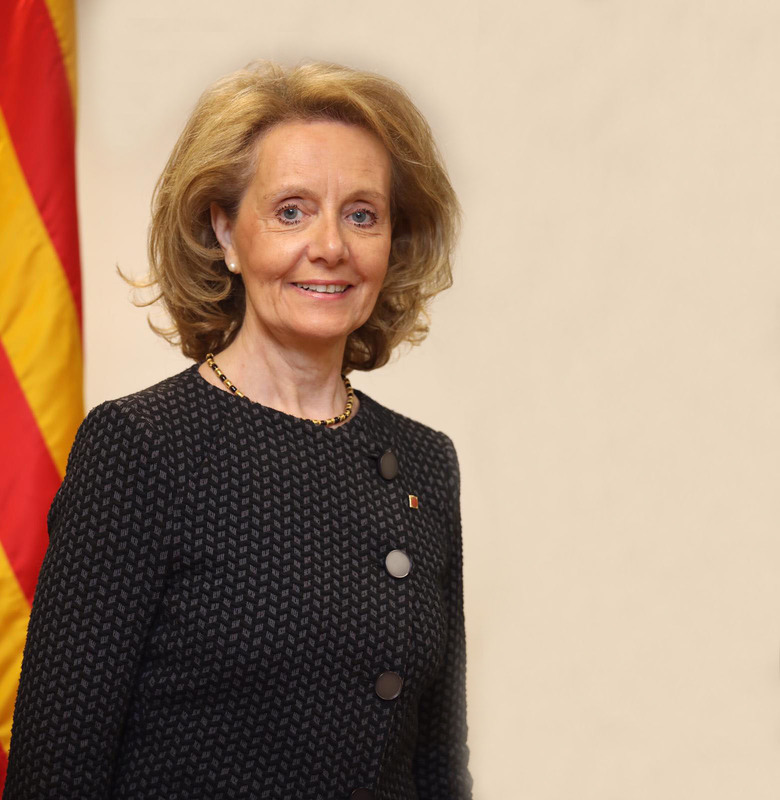 The Government of Catalonia awarded her the Creu de Sant Jordi in 2016 and the Narcís Monturiol Medal for scientific and technological merit in 2018.